Indian Navy invites online applications from unmarried Men and Women candidates for Short Service Commission (SSC) in Executive Branch (Pilot / Observer Entry) & Education Branch and unmarried eligible Men for Permanent Commission (PC) in Executive Branch (Logistics Cadre) of the Indian Navy for course commencing January 2020 at the Indian Naval academy EZHIMALA, Kerela. Commercial Pilot License (CPL) candidates having valid & current CPL issued by DGCA (India) & born between 02 Jan 1995 and 01 Jan 2001 (both dates inclusive) can apply for Pilot entry as per stipulations against Pilot stream stated at para 2 (b) and 2 (c) above. 1. Identity proof is mandatory for online registration. 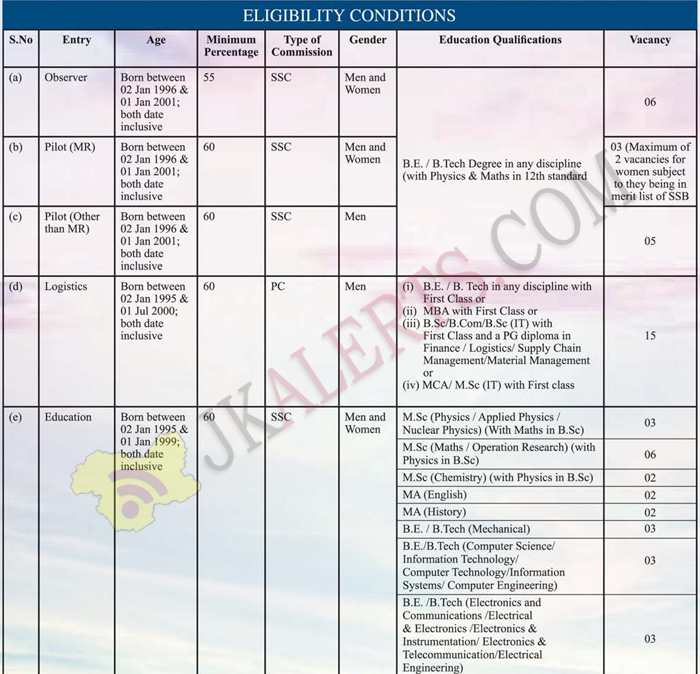 For details visit www.joinindiannavy.gov.in & Employment New dated 16 March 2019.